Hume Bank was founded in 1955 by a group of residents from Albury in regional NSW. It now has over 58,000 customers and 19 branches. Hume was looking for a website that would deliver an exceptional user experience that would function consistently across all devices. The site needed to reflect Hume’s position as a trustworthy alternative to traditional financial institutions, without losing the sense of community and grassroots support upon which it was founded. 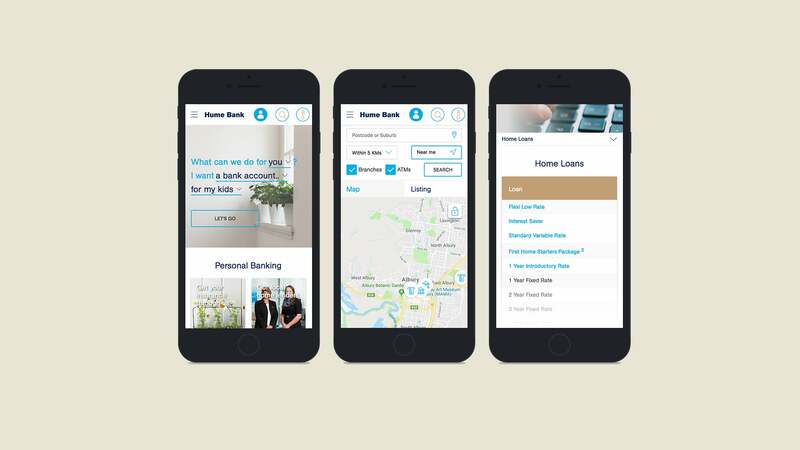 One of the key challenges of this site is that it had to cater to a number of very distinct audiences, including personal banking clients, business banking clients and the general community. Hume also needed a site that would offer ease of use for both the customer and internal administrators. Hume Bank’s new site features a complete reconceptualisation of the old site’s design, structure and content. 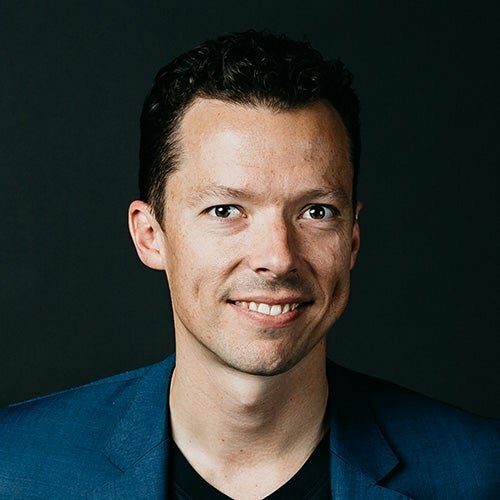 The focus of the new site is very much on how the user consumes financial services, rather than the bank’s internal structures and classifications. For example, a new product selector helps to funnel the user directly to the most relevant page by asking a number of simple questions about who they are and what they’re seeking. The site is now responsive, with comparison tables that have been designed to function in a user-friendly way across a range of devices. From a content management perspective, the use of a centralised information table and macros throughout the site has streamlined the process of making changes to content such as rates and product information. Having a centralised repository for this information has not only resulted in significant time savings for Hume Bank, it has also eliminated the risk of inconsistencies across the site. 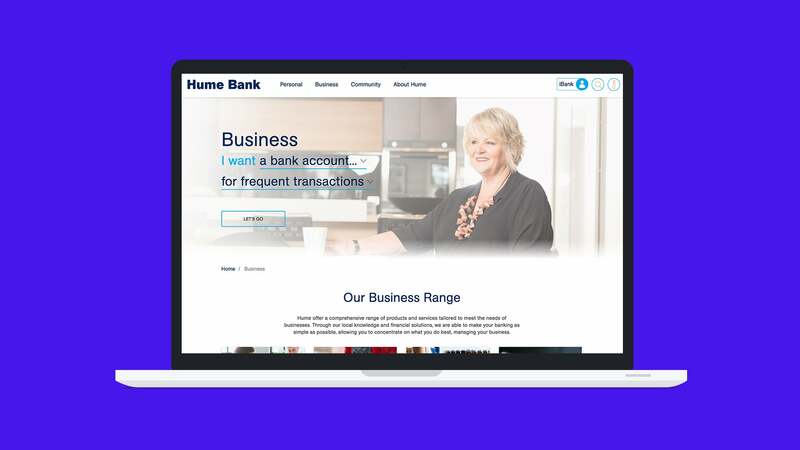 Content administration has also been simplified through a suite of widgets that enable Hume Bank to have much greater control and flexibility over content. For example, a calculator widget gives Hume the ability to drop a mortgage calculator onto a page without the need for any coding. Hume’s challenge online was to maintain a highly reputable brand built upon local expertise, personable service and community support as traditionally expressed via our offline channels. With online now a primary (and at times only) means of interaction with our customers, picking the right agency to meet this challenge was crucial. Right from the kick off meeting and throughout the project, we were confident in our choice with the Luminary team. The team were collaborative in their approach, communicative, transparent, and willing to accommodate change as it arose; culminating in a design that satisfied our brief precisely. Find out more about the key team members and how we helped. Adam is a trusted advisor for our clients, and welcomes new clients to the Luminary community. 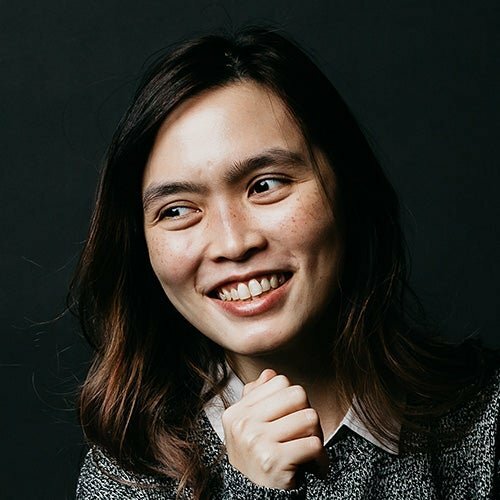 As a Senior Digital Producer, Catherine is renowned for her unwavering efficiency and razor-sharp attention to detail. 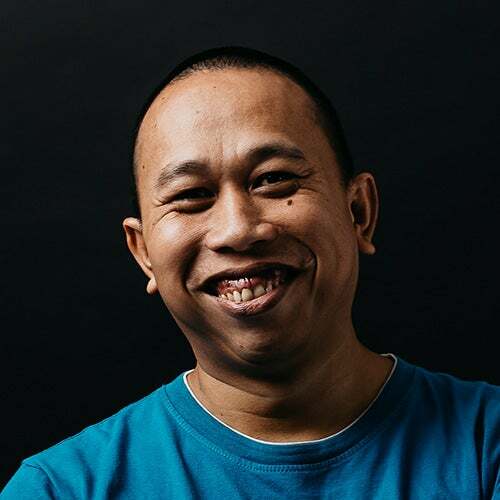 Anangga is a talented all-rounder who specialises in front end development for websites built on .NET CMSs. 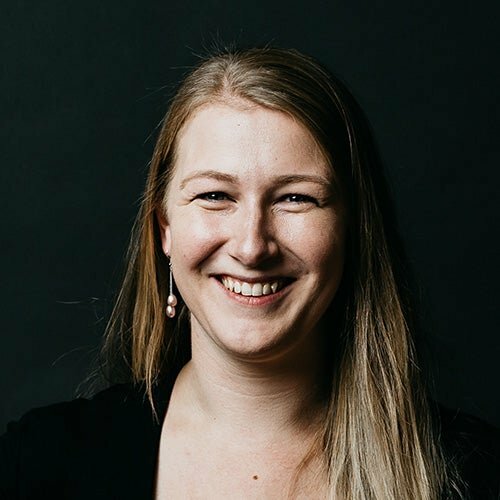 Jess is a quiet-achieving developer with a penchant for perfection. Our mission is to make digital bright, and the human experience brighter. The work we do in the design and user experience (UX) space is a clear embodiment of that mission. Want more? Here are some other examples of our work that you might be interested in. When Clipsal and Schneider Electric wanted to switch on a new clipsal.com, they were looking for a partner who was an expert in both responsive design and Kentico. 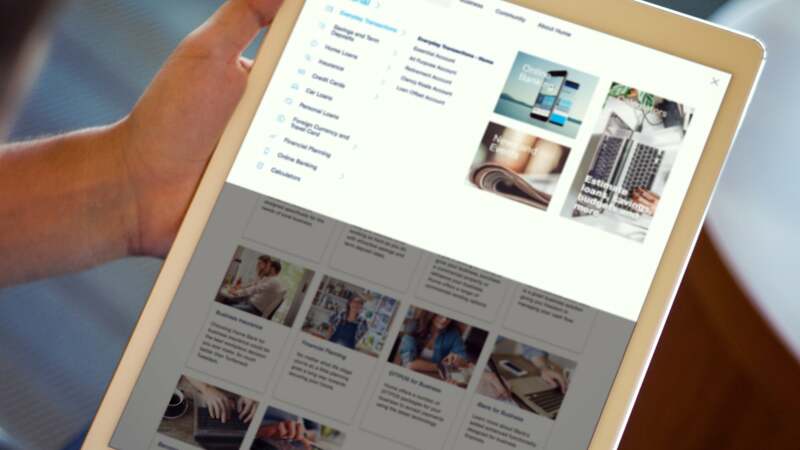 In this site rebuild a simplified information architecture and flexible content widgets were key in supporting content editors through a brand repositioning.